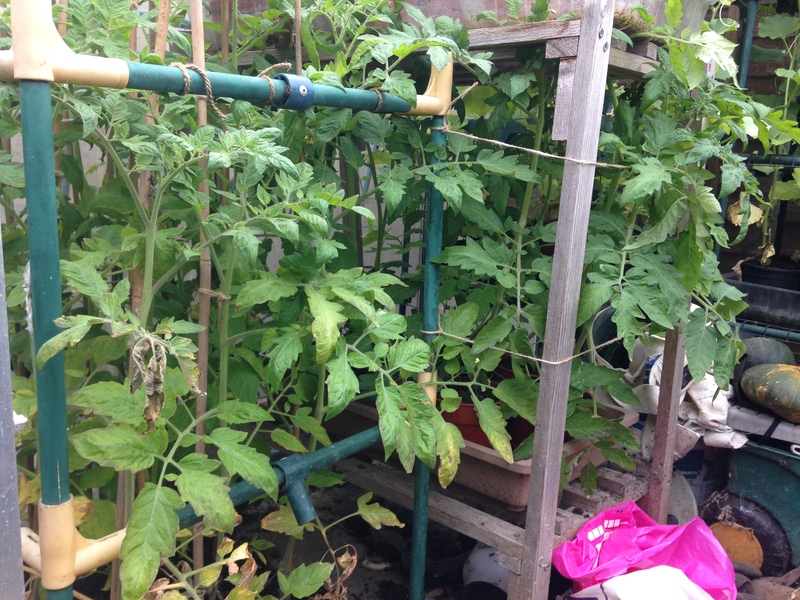 ← Wednesday 9th July 2014 – I’ve started to sort out the fruit patch. 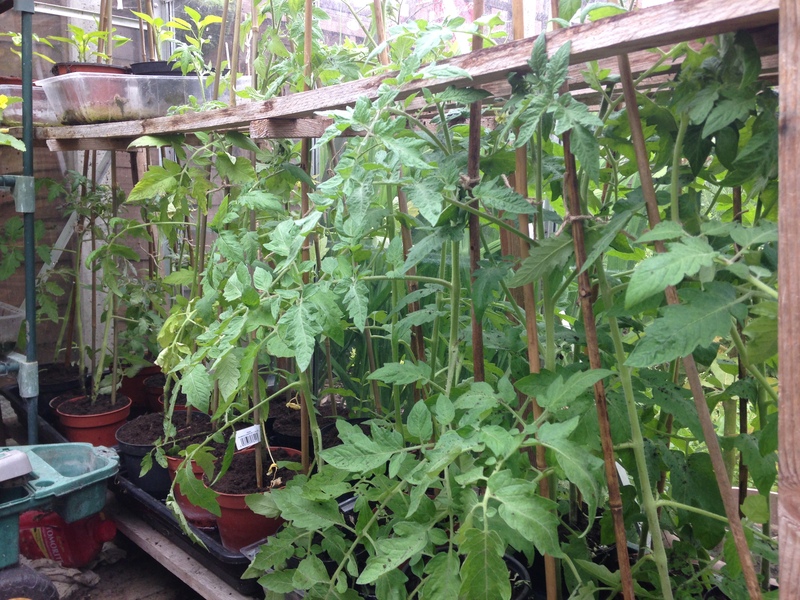 Thursday 10th July 2014 – All my tomatoes are finally in!! I spent this morning at home potting up the rest of my tomatoes into 6 inch pots. Some on the patio up against our new fencing. I’ve had to move various plant pots around, and put many of them out in the front garden just to make room for my tomatoes. Some more tomatoes on one side of the greenhouse. 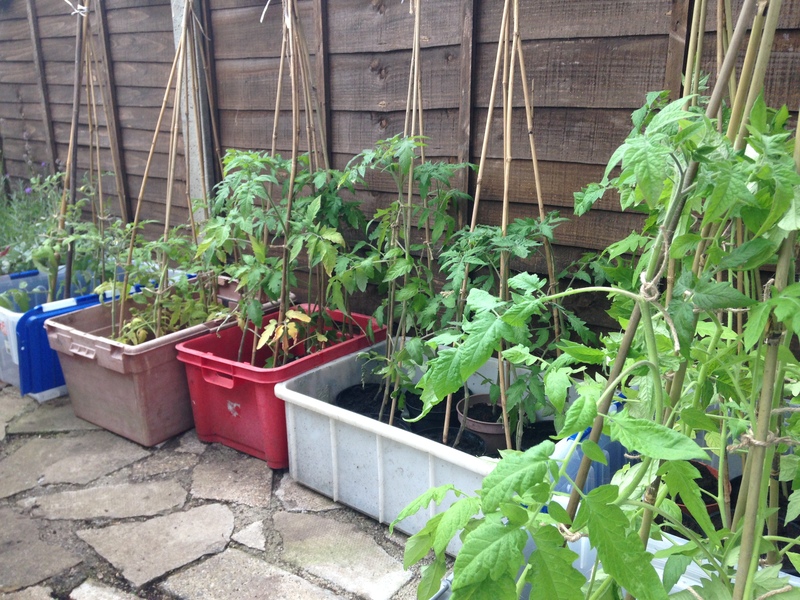 But I have finally got all of my tomato plants into their final pots. I don’t know how many I have, but it’s a lot!! Some on the other side of the greenhouse. Hopefully that’ll mean loads of wonderful tomatoes over the summer months. These ones are on the patio, underneath the kitchen window. Now I’ve just got to tidy the garden table as I’ve made a bit of a mess on it. I’ll do that tomorrow. This entry was posted in Uncategorized and tagged Big Red F1, claire's allotment, Green Zebra, San Marzano 2, tomatoes. Bookmark the permalink. 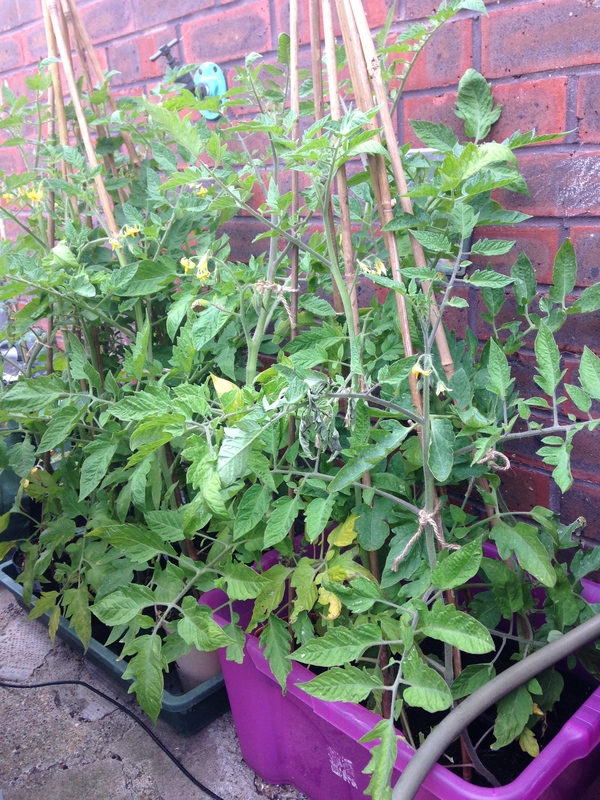 9 Responses to Thursday 10th July 2014 – All my tomatoes are finally in!! All those tomatoes, how do you avoid blight? Water from the bottom helps reduce blight. The ones in the greenhouse seem to be ok, but I keep a very close eye on the ones outside. I don’t grow them down the allotment anymore because of blight. Have some tomato medicine standing by just incase. You are certainly going to have a lot of tomatoes. Still, transferring my plants but only got a few this year after losing most of my crop to botrytis. Not a problem if the weather is dry but horrid if it’s damp and the plants are too close. Water from the bottom, usually helps, but the rain does understand that concept. I mean losing last year’s crop. Blight can also devastate tomatoes, which is why I only now grow them in my back garden. On the allotment it spreads like wild fire. Hi Claire. Sometimes it is best not to count how many plants you have…. it always comes as a bit of a shock when you do! Yes it does come as quite a shock. I had to buy some more 4 foot canes for my tomato, I think I bought about 60 and used most of them! !